How secretive is the bourgeoisie! Yet no one was more adept at preserving himself in modernity than the bourgeois. Like the criminal, he would go undercover, but his cover was the interior of his home. He would escape into his private dwelling, where secrecy would become a fetish against the outside world. The bourgeois would cover up his traces in the interior as he would no doubt cover up the traces of his expropriation scams during the Hausmannization of Paris, with the proceeds and evidence of his criminality kept out of sight of the authorities. “To live in these interiors was to have woven a dense fabric about oneself,” wrote Benjamin: as the crowd was a veil for the criminal, so the interior became a veil for the bourgeois. The criminal and the bourgeois both hid undercover from modernity, obliterating their traces and protecting their freedom. The criminal hid his traces from the police — undercover, underground. In the bourgeois interior, objects and ornaments were covered in plush and velvet, sealing away what was under them. The bourgeois preserved his freedom with covers and boxes; his home became a shell, his possessions and wealth “removed from the profane eyes of non-owners.” The bourgeois would seek refuge in his library, his art, in his assets, which were the sacred objects of his ideal, free identity. That the bourgeois continues to preserve his traces in a shell is evident to this day in the private banking and asset management schemes that run through the global offshore financial system, where wealth is protected against its uncovering through mechanisms that completely remove the identity or trace of ownership. 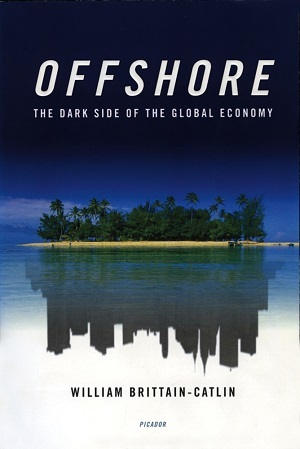 The offshore system, built for the bourgeois by a network of other bourgeois — lawyers and accountants — also provides cover for the proceeds of organized crime and white-collar financial crime, money launderers, and corrupt presidents who have stripped their countries bare of assets, proving Benjamin’s point that “a career criminal is a career like any other.” The offshore system today it to corporate, private, and criminal wealth what the nineteenth-century interior was to the bourgeois and what the crowd was to the criminal: a cover behind which to hide their traces from modernity, where the criminal is masked as a bourgeois and the bourgeois unmasked as a criminal. Or, as the great chronicler of the bourgeoisie had it: The secret of great fortunes without apparent cause is a crime forgotten, because it was properly done.